Pope Francis has been pope for six extraordinary years. In that time he has graced the cover of countless magazines and news media; movies and television series have been made of his life and reforming efforts; world leaders line up at the Vatican to greet him and seek council. Francis has not shied away from the messiness of ordinary life, or the complexities of our global challenges. He’s written and spoken on the environmental and refugee crises, the inequality of economic structures, the necessity for dialogue between faiths and cultures, and the need for the church to change its approach to complex pastoral situations. For many people around the world, he is the most authentic and credible moral leader. As courageous and popular as Francis is, his impact cannot be restricted to a type of celebrity status. Francis himself does not like to be in the spotlight, but seeks to encourage and empower people of all walks of life to work together in a tangible way to build a better world. The Francis Impact tells the stories of some of these individuals and communities who have been impacted by Pope Francis. They are stories of empowerment, unexpected collaboration and deep transformation, in the areas of ecology, migration, inter-faith dialogue and pastoral reform. 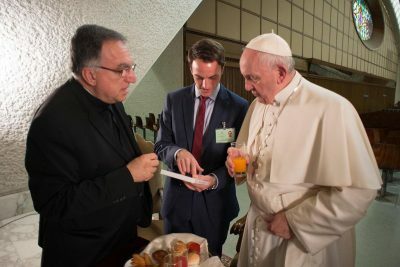 Far from the corridors of the Vatican, the real Francis impact is lived and felt among ordinary people who have been inspired by the Pope’s call for more compassion, inclusion, sustainability and dialogue in a world torn apart. 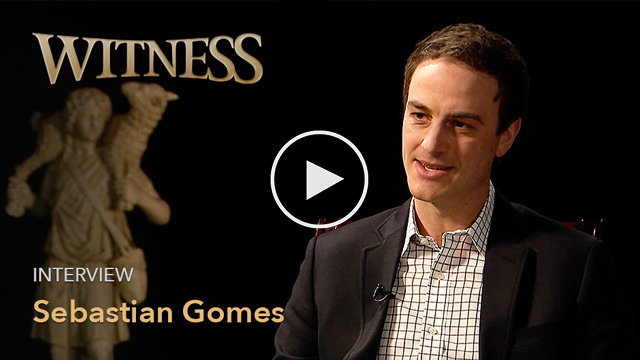 The media work of TFI Director Sebastian Gomes has centered on Pope Francis for the past five years. In this WITNESS interview with Fr. 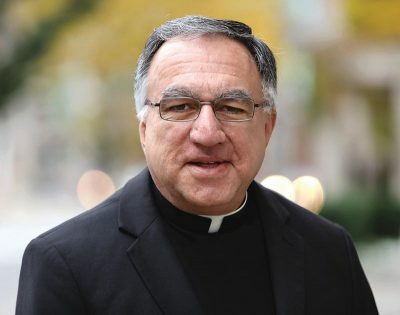 Thomas Rosica CSB, he shares extraordinary stories of the 2013 conclave, reflects on the reception of his acclaimed 2014 documentary, The Francis Effect, and offers a glimpse into his soon-to-be-released sequel, The Francis Impact. That film took an in-depth look at the first year of Francis’s pontificate and the themes rapidly emerging from it. It was as exciting to make as it was challenging. Pope Francis was a moving target. The Catholic world was as shocked as anyone by what they saw and heard. Everyday something new and different was happening. But more than anything, Catholics were surprised by the speed with which things were changing. This is the immutable Catholic Church, after all! The Canadian theologian Bernard Lonergan astutely wrote that “The church inevitably arrives on the scene, late and a little out of breath.” But here, seemingly out-of-the-blue, came Francis trailblazing and challenging all of us to keep pace. As Pope, he has recalibrated the church’s mission, calling us to be more proactive and less reactive, outward looking rather than inward looking, bold and prone to mistakes rather than isolated and safe. And suddenly we, as a church, find ourselves on the frontier in a suffering world we do not fully understand but are called to help and serve. What will we do? This is the next story to be told in the Pope Francis era. THE FRANCIS IMPACT features a variety of remarkable stories, including ordinary Catholics working on the margins, women religious and bishops, and those outside the Church who see in Francis a partner in dialogue, a unique moral voice, and a beacon of hope for all of humanity. This is not a film about Francis changing the church; it’s a film about the church changing the world. Sebastian Gomes and Fr. Thomas Rosica introduce Pope Francis to “The Francis Effect” documentary. As we enter our 15th year, it is a privilege for the Salt and Light Catholic Media Foundation to present to the world “The Francis Impact.” We were privileged at the beginning of Pope Francis’ ministry to present to you “The Francis Effect” – a major documentary that has been recognized around the world as an important window and interpretative key into a remarkable papacy that was unfolding before the eyes of the world. Over the past four and a half years, we have accompanied closely Pope Francis around the world and witnessed up close his powerful gestures that have become the substance of his Petrine Ministry. Not only the Church but the entire world has been touched, captivated, moved and challenged by this man who was called to Rome from the ends of the earth to be an agent of change, a bearer of mercy and hope, a messenger of peace, a disturber of conscience and a brother to millions of people.